Is OPEC Winning? - Ellen R. Wald, Ph.D. It has been 9 months since OPEC decided not to scale back oil production and to permit its members to produce as much as they want. 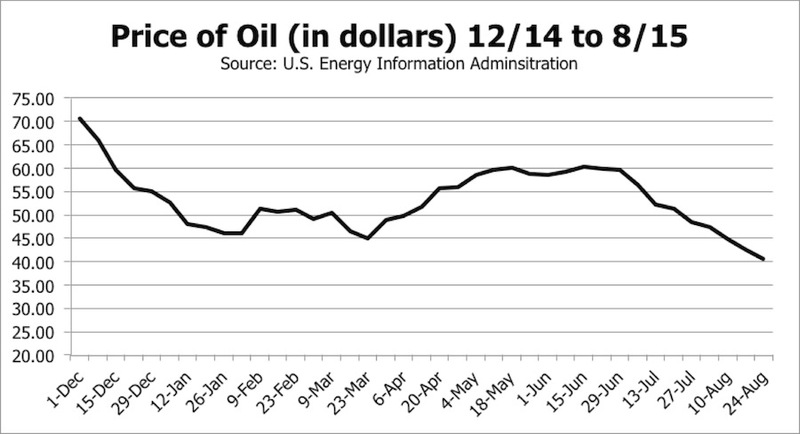 The result has been a tumultuous year for the crude oil market. Prices dropped from $80 a barrel to almost $40 a barrel, but what has this decline and the resulting global confusion meant for Saudi Arabia, the leader of OPEC? Saudi Arabia is a country that thrives on stability, not turmoil, so there must be a strategy underlying its decision to inject instability into the market. Saudi Arabia and Saudi Aramco are essentially one in the same, with unified leadership, unified strategy, and unified goals. The goals of both are always two-fold: 1) long-term stability for Saudi Arabia and the al-Saud royal family, and 2) long-term profits to further enrich the growing al-Saud family for generations to come and to keep the country functioning smoothly. Has Saudi Arabia’s November decision for OPEC, and its subsequent decisions to stay the course, paid off? Has the strategy succeeded? Is the strategy likely to stay or will it change soon? When crude oil is cheaper, as it is now, refineries want to buy, because their margins are higher. Saudi Arabia has jumped on these opportunities to capture new markets. Saudi crude oil exports to China were up this summer. (I know this fact comes as a surprise when every analyst says Chinese consumption is plummeting). Saudi Arabia has taken advantage of the sales opportunities created by low oil prices to increase its market share in China. The Saudis realized a long time ago that they have extensive reserves of crude oil that 1) can be easily pumped, 2) is controlled by a reliable monarchy that whole-heartedly supports energy business, 3) is easy to transport, and 4) is of a grade that matches the refining capacity of most global facilities. In other words, when refineries want to purchase new oil, the Saudi salesmen have a pretty easy job. Over the last 9 months of turmoil, the Saudis have signed new accounts and left the rest of the world watching confused. Back in December and throughout the winter, analysts guessed repeatedly that Saudi Arabia’s goal was to “maintain market share.” As I have said since December, that analysis does not make sense, because no major corporation sets a goal of the status quo. No, like any successful operation, Saudi Arabia’s goal is always to increase market share. Surprisingly, North America is another market in which Aramco has recently increased its share. For all the same reasons (easily produced Saudi crude, a friendly Saudi government, easy transportation, and the right crude grade), Saudi crude is still desirable in North America, despite the glut of shale oil. North American refineries, like their Chinese counterparts, want to purchase crude while it’s cheap and margins are high, and Aramco is an excellent supplier for them. Moreover, this crude price instability has rocked (bad joke!) the fracking industry more than anything else. Within just a couple months of OPEC’s November decision, we saw some fracking enterprises fold, file for bankruptcy, or sell off their pieces. Then in May, when the crude prices jumped for a moment, it seemed these small producers could get the financing they needed to survive. Now, with prices hovering around $40 a barrel and analysts predicting that we’ve reached a new normal, the frackers are in bigger trouble than ever before. The price of crude is too low to justify relatively expensive fracking operations, and the lenders know this. The big question in regard to Saudi Arabia and the North American frackers is: what will Saudi Arabia do? Most analysts claim Saudi Arabia just wants the frackers to cut production. However, these frackers must pump or fold. If and when they fail, someone else–someone bigger–will come in and buy their assets. Why not Saudi Arabia itself? There is already a precedent, with Saudi Arabia owning 50% of the largest North American refinery, substantial shares in various North American energy startups, and other assets on the continent. Purchasing American fracking rights would be an excellent way to both diversify and gain market share at once. Saudi Arabia has not bought anything substantial yet, but watch to see if they do. If Saudi Arabia buys, be prepared for rising oil prices to follow. Saudi Aramco sees this period of low crude prices as a time to bolster its diversification into petrochemical products. Since 2005, Saudi Arabia has worked to expand its downstream oil operations significantly. They have opened several new refineries and petrochemical plants in Saudi Arabia and have partial ownership of others in South Korea and the United States. During times of low oil prices, refineries are typically major money-makers for oil companies, and Aramco is no different. Saudi Arabia is no longer exporting almost its entire crude oil production, but instead sending much of that crude to its own refineries and then marketing refined oil and petrochemicals. When Saudi Arabia increased its crude production, it helped these refining operations while simultaneously increasing its crude sales globally. By all accounts, this strategy has been extremely successful so far, and Saudi Arabia is finding markets for its new products. All the evidence indicates that Saudi Arabia’s November decision has been working to 1) maintain stability and 2) increase wealth for the Saudis. While it is working, look for OPEC to continue its policies as-is until Saudi Arabia is satisfied with its success and ready for a return to higher prices. This could happen after Aramco has signed enough new crude export deals (as it has in China or North America), after Saudi Arabia (in the form of Aramco, a royal family member, or a Saudi-owned enterprise) buys fracking casualties, or after Aramco’s domestic refineries have proven sustained success.